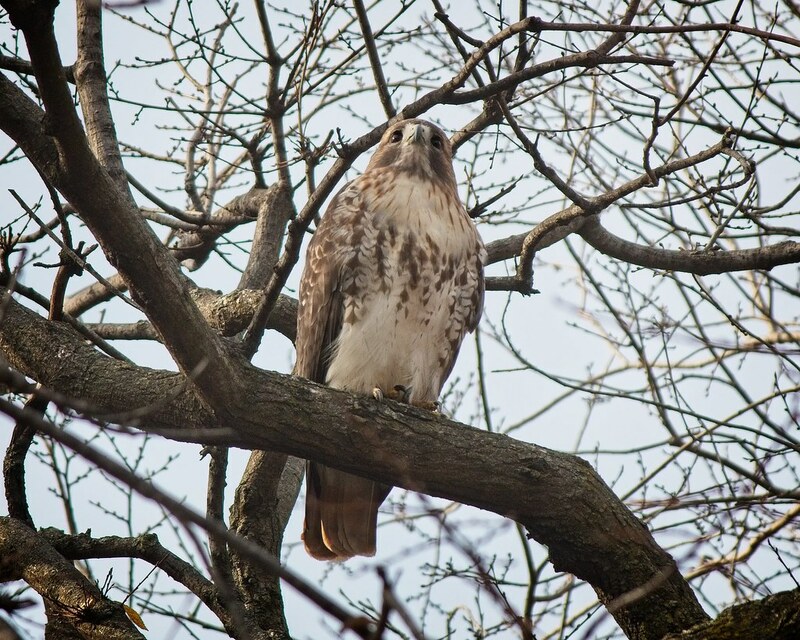 There have been a lot of hawk sightings in the neighborhood recently. 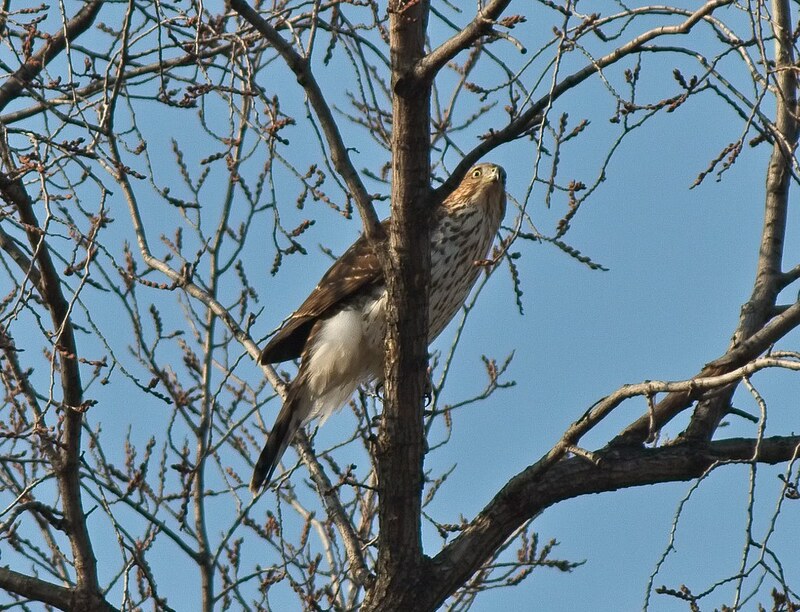 In addition to Christo and Dora, I've seen at least two other red-tails and several Cooper's hawks. Now that Dora is being treated for an injury, it's up to Christo to defend their territory. 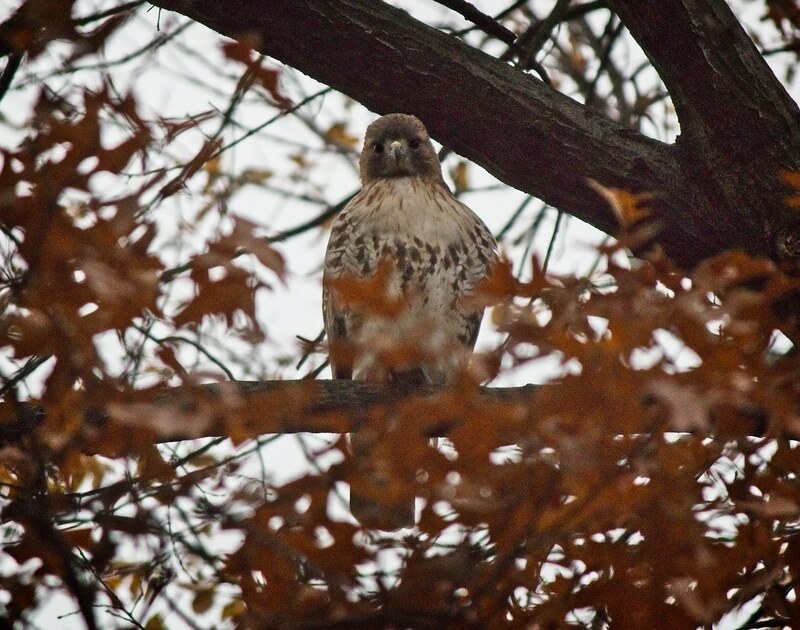 He spent most of Saturday afternoon perched in the east half of the park and vocalized for about an hour. He seemed to be on alert. 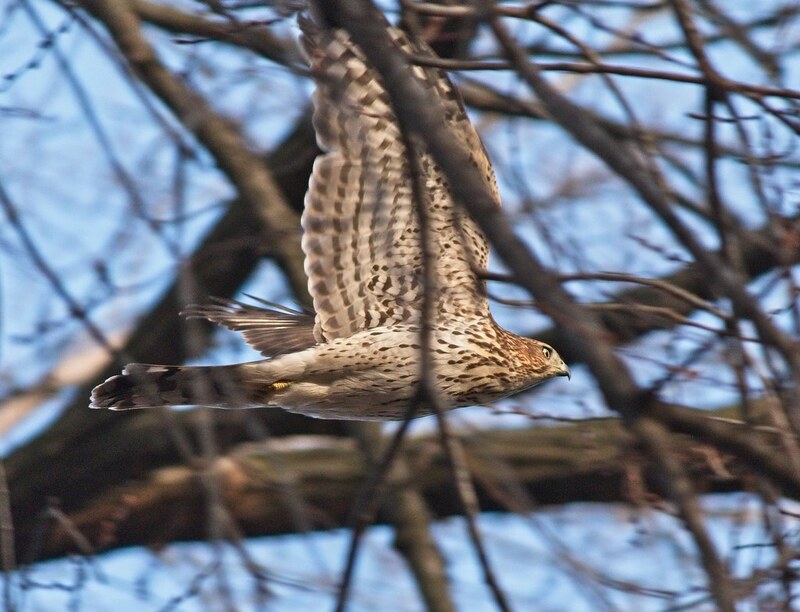 Around 3pm, he took off after a couple of intruders who turned out to be a young Cooper's hawk and another red-tail. The three of them disappeared over St Brigid's church and it all happened so fast, I was unable to get a photo. 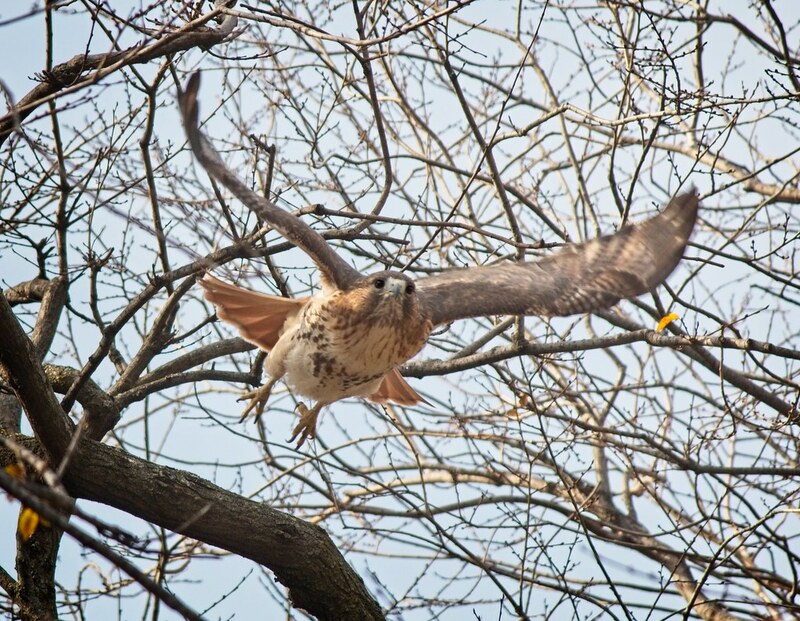 On Sunday, Christo waited patiently in the park as the rats came out to play. 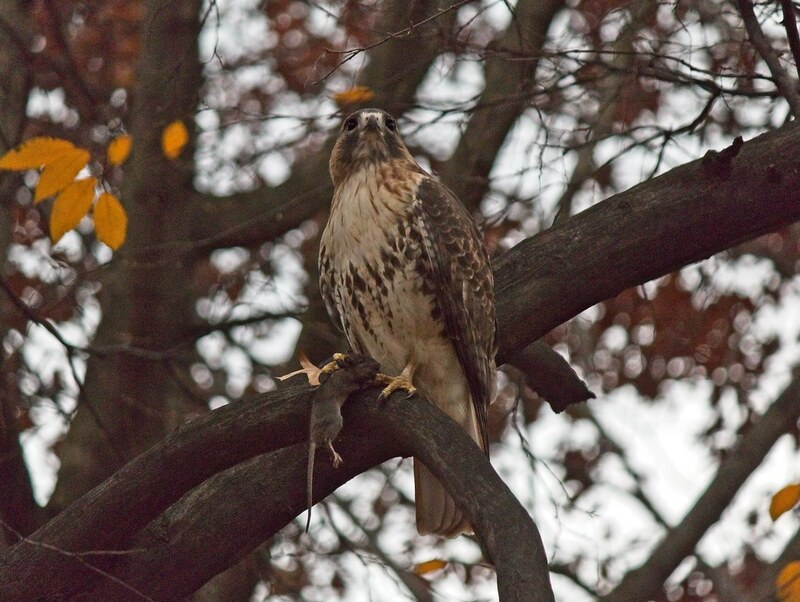 He picked up a small rat near the Avenue B playground, then proceeded to perch with the rat for about an hour. He didn't attempt to eat it and he didn't call out to Dora, but I wondered if he was waiting for her to show up. 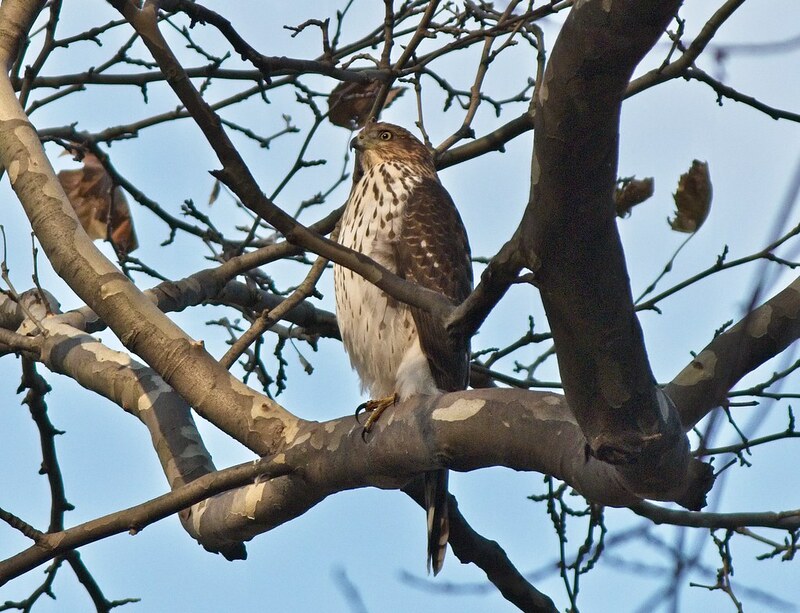 Meanwhile, I've seen more Cooper's hawks around the neighborhood than ever before. 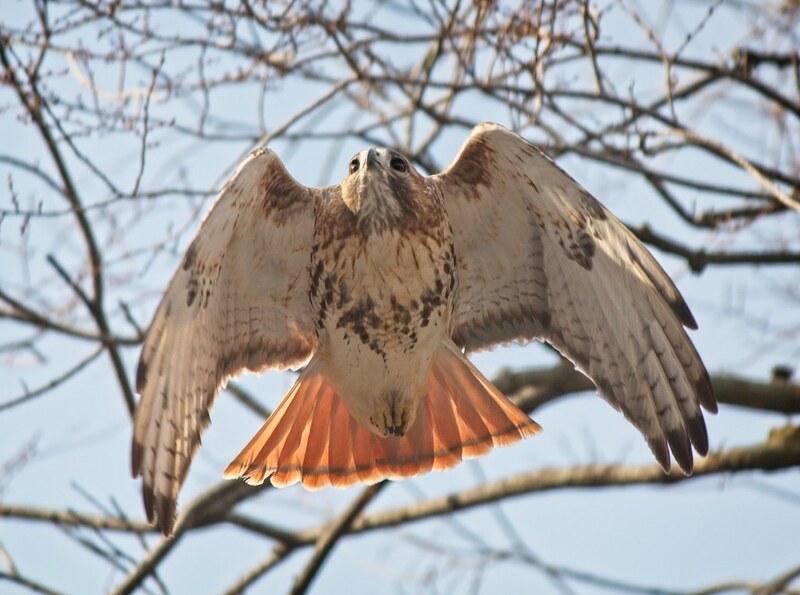 They compete with the red-tails, although I haven't seen any serious arguments. 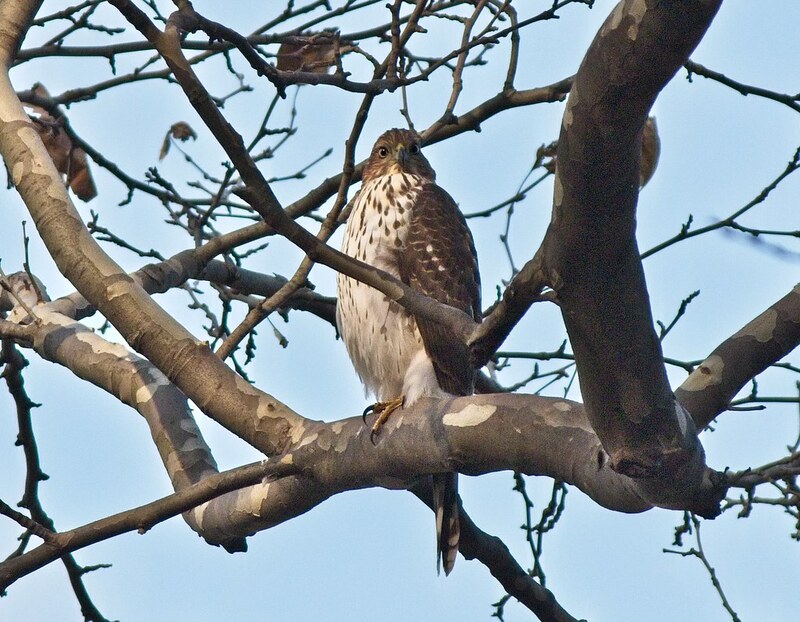 On Sunday, while Christo was in the park, I found this immature Cooper's hawk in the New York City Marble Cemetery. 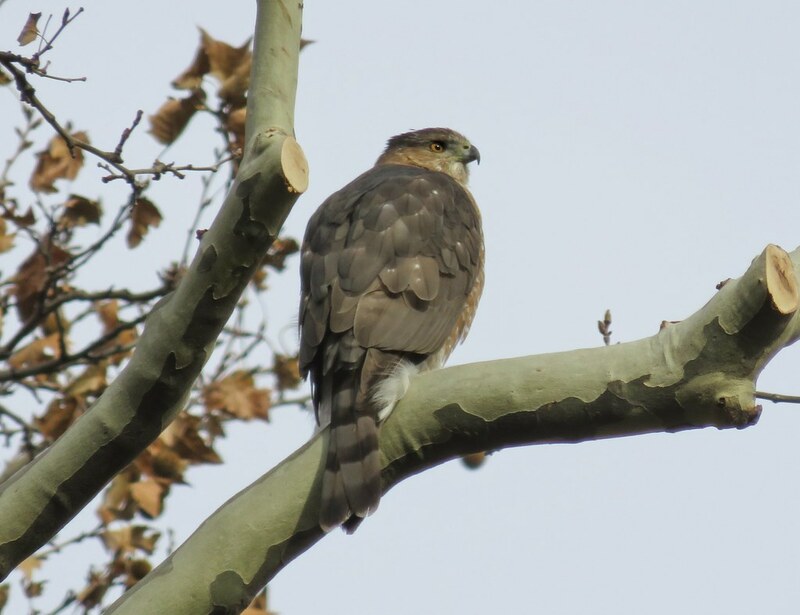 Earlier in the week, I came upon this gorgeous adult Cooper's in the cemetery. 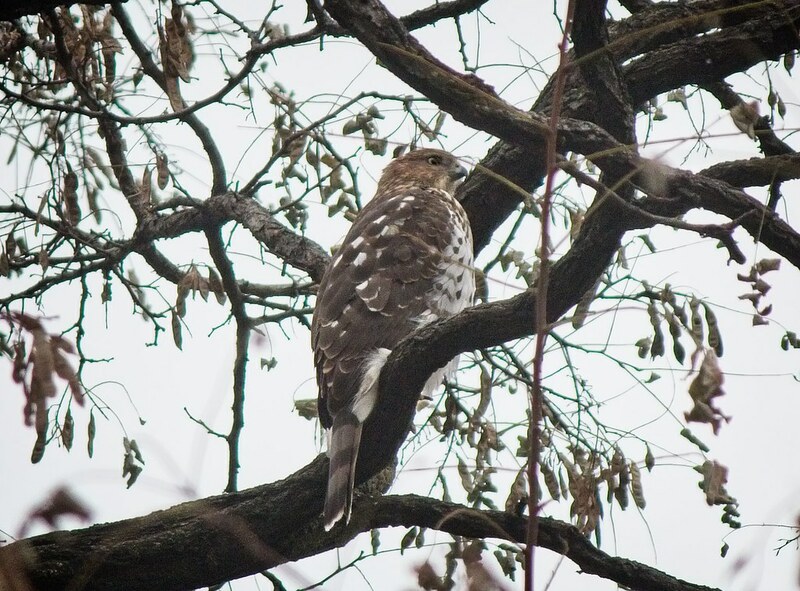 While Christo was away from the park, an immature Cooper's hawk flew into the tree on the central lawn. This one hung around for a while, halfheartedly chasing pigeons. 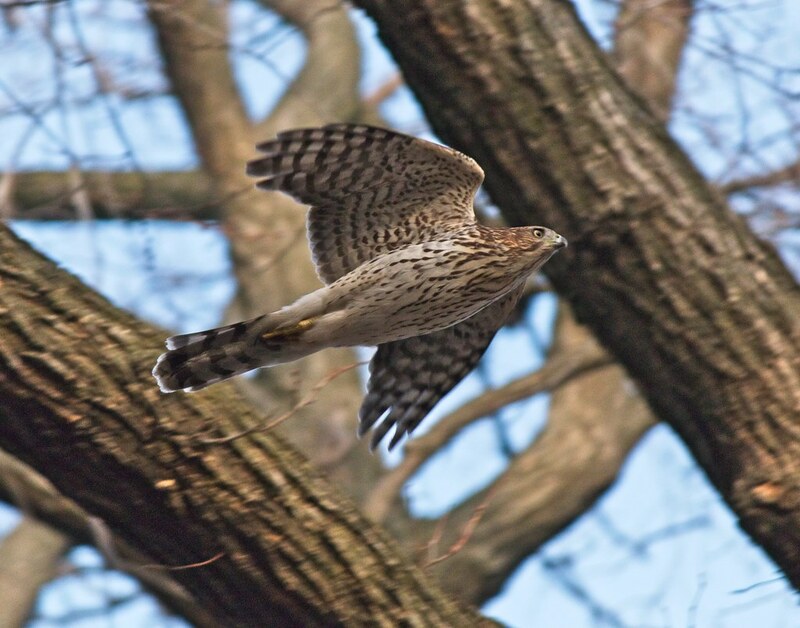 Cooper's hawks fly really fast and are more unpredictable than the red-tails, so I was happy to get a few shots of this one as it darted around the park. 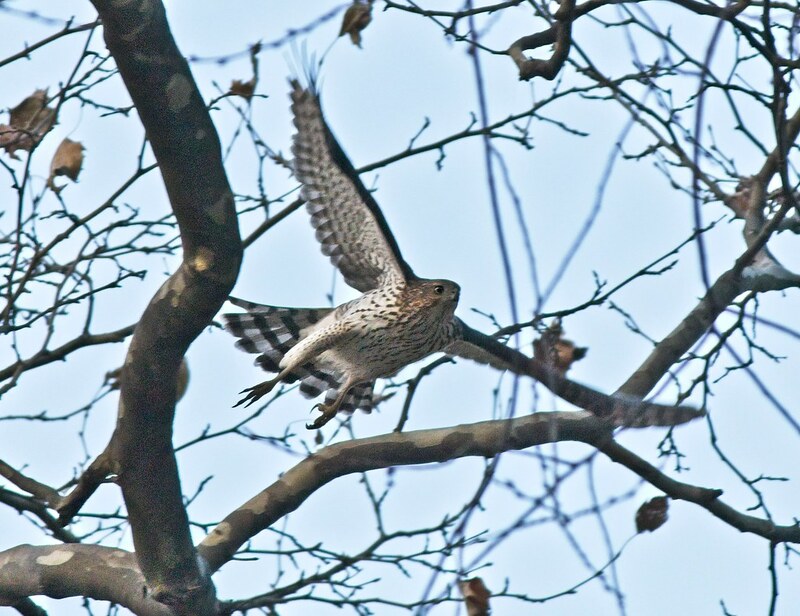 This is how they usually appear - as a flash through the trees. 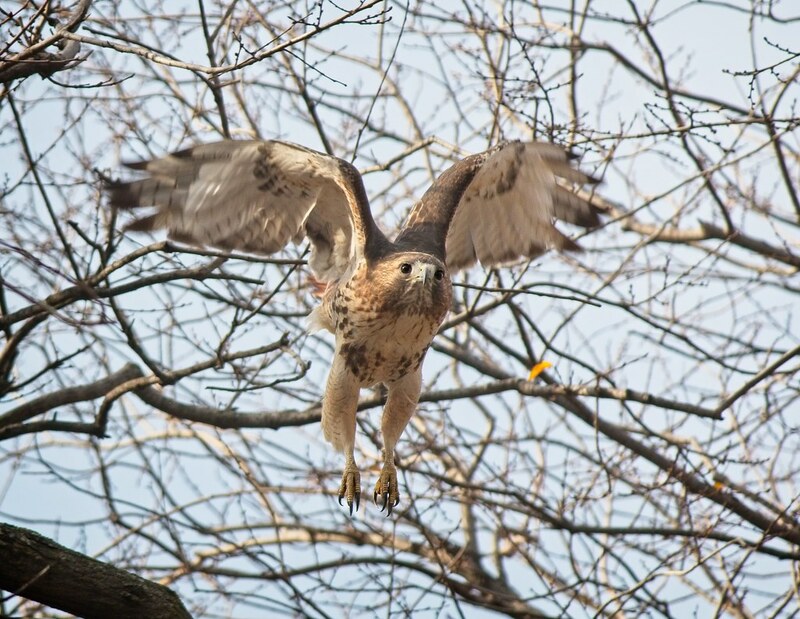 Last year, I saw a Cooper's dive from a tree and swoop so fast across the knees of a row of people sitting near the Krishna tree, no one saw a thing.